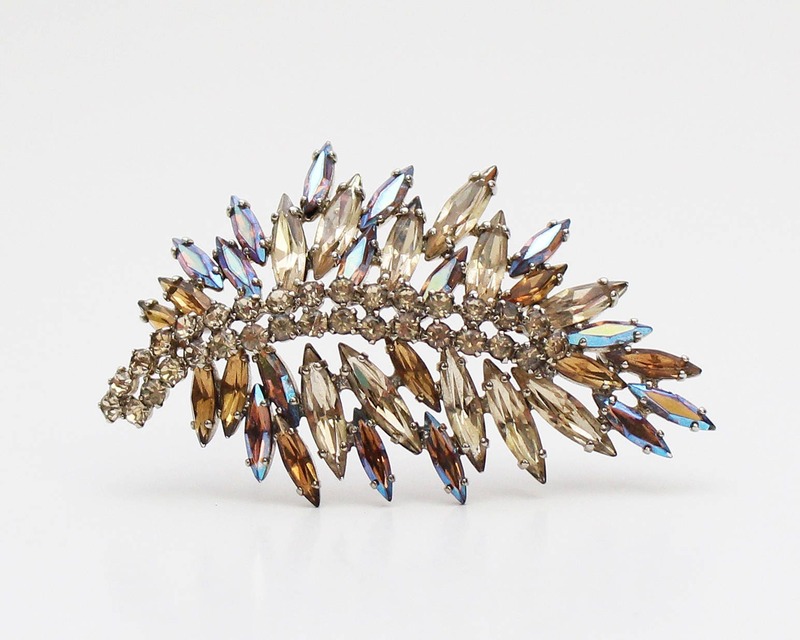 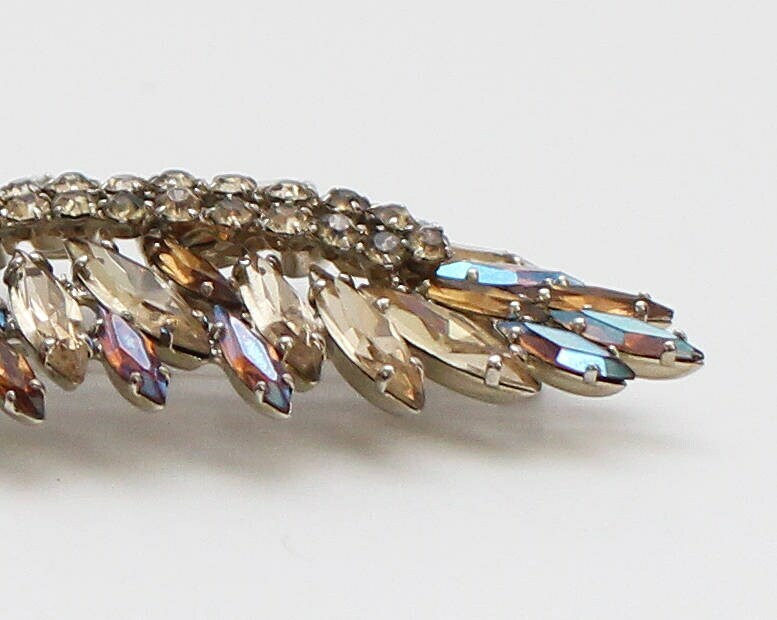 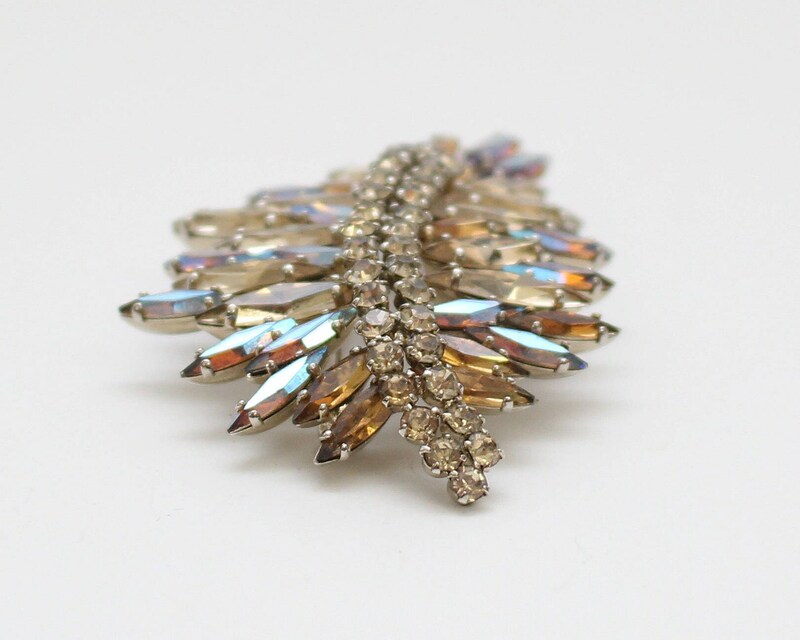 A beautiful Sherman brooch with thin navette stones in pale yellow, topaz, and coated with a blue finish on accent stones. 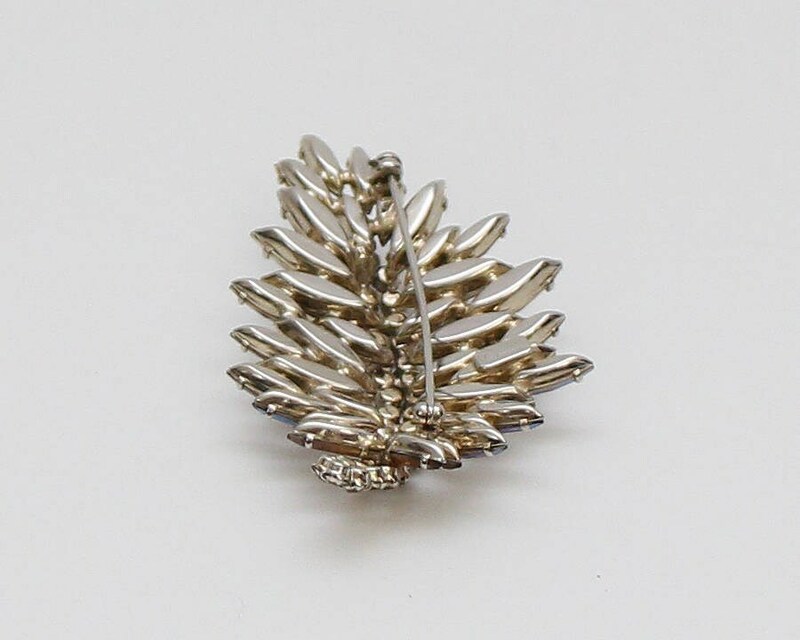 Prong set in gold tone. 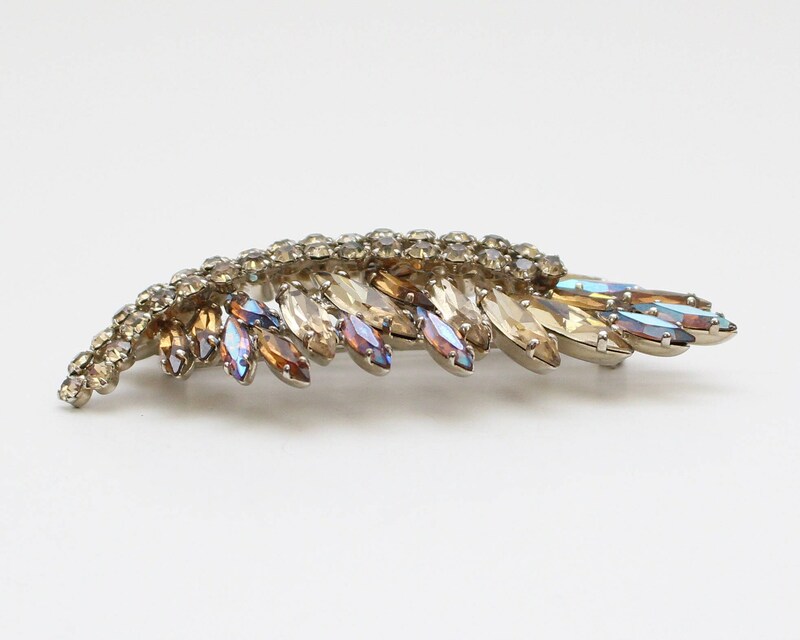 The gold finish has lost a little luster on the backs, but otherwise flawless.